Will an Apple Store Ruin Federation Square? 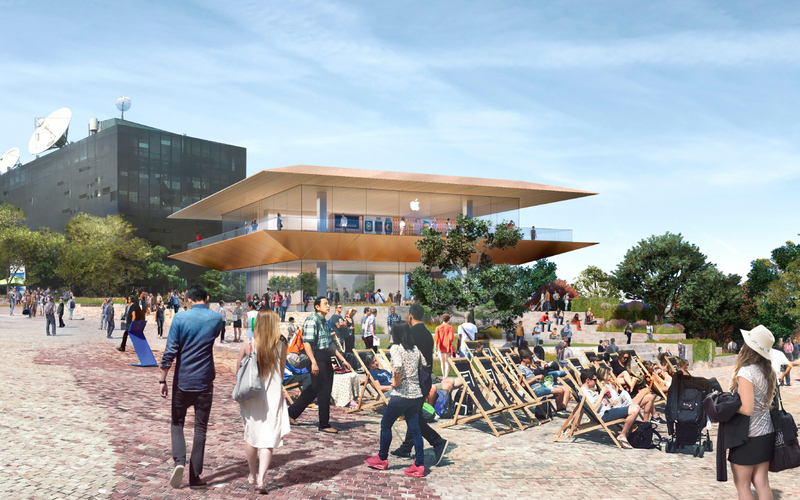 Late last year, tech giant Apple released concept designs for a "global flagship store” in Melbourne’s Federation Square to a veritable media storm. The Victorian government approved the demolition of the existing Yarra building to make way for an Apple store in December, precipitating a backlash about the lack of public consultation and apparent secrecy of the deal. Federation Square, designed by Lab Architecture Studio and Bates Smart, was completed in 2002 and is home to a number of public institutions including the National Gallery of Victoria and the public broadcaster SBS. The Yarra building is currently home to the Koorie Heritage Trust. Lambasted as a “Pizza Hut pagoda” the Fosters + Partners-designed Apple centre has now been rejected by the City of Melbourne, with Greens Councillor Rohan Leppert leading a motion to reject the design on Tuesday. The council meeting heard the proposal has overwhelmingly been rejected by the community, with the council receiving about 800 submissions rejecting the design. Many have questioned whether a public space like Federation Square is appropriate for a commercial presence by an international corporate giant like Apple. Apple had blocked the Andrews government publicly releasing details of the proposal in January. It is understood that a contract between Federation Square and Apple gives Apple the right to prevent release of information. Councillors were only given plans in January under strict confidence. Councillor Reece conceded that, with an appropriate design, an Apple Store could actually improve the square. 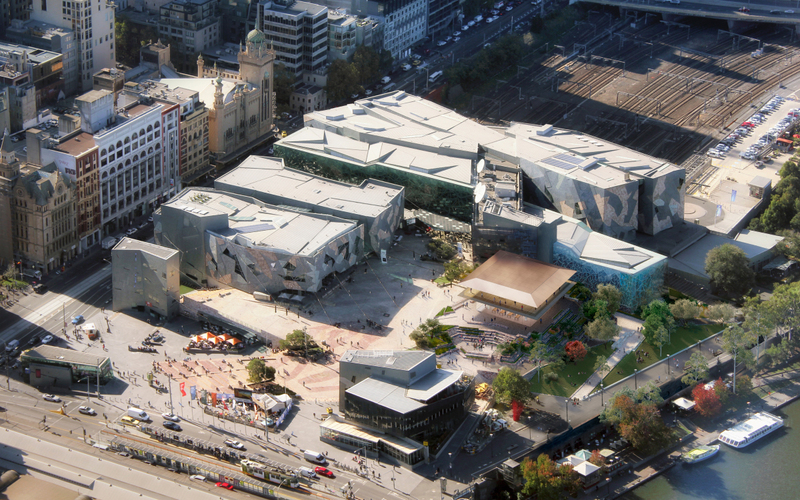 "Provided it's done in the right way it could be a good thing for Federation Square," Cr Reece said. Fosters + Partners have designed many of Apple’s store designs around the world as well as Apple Park, and the company’s new corporate headquarters. 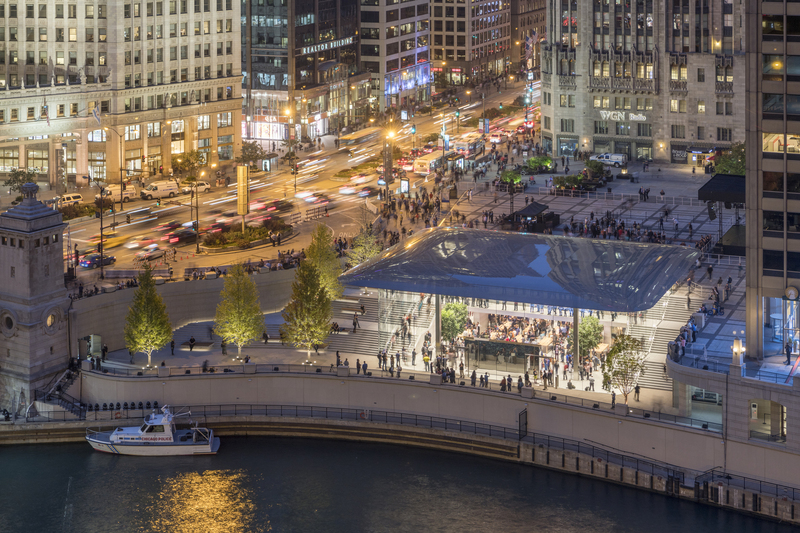 The firm recently released renderings of the tech giant's Chicago Apple Store with a carbon fibre roof resembling a MacBook. Federation Square was opened in 2002, and despite receiving much criticism for its design –often landing on “world’s ugliest buildings” lists – is visited by over 10 million people each year. It’s estimated that Apple could pull two million visitors to the square annually. In a statement released in December, Angela Ahrendts, Apple’s senior vice president said that the store would be the “most significant Apple store in the southern hemisphere”. Construction on the store was expected to begin in 2019, with a grand opening slated for 2020.